Starbucks (NASDAQ: SBUX) has announced a new policy of inclusivity for its stores nationwide. The new policy will permit anyone to sit in its cafes and patios or use the stores’ restrooms, regardless of whether they’ve bought anything. 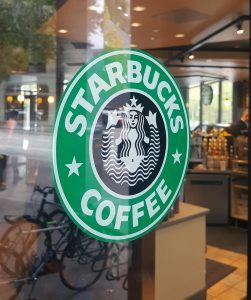 Starbucks also said that, going forward, its employees are instructed “to consider anyone who walks into its stores a customer,” regardless of whether they’ve made a purchase. “We are committed to creating a culture of warmth and belonging where everyone is welcome,” the company said in a statement. The company did specify that employees should follow established procedures for “addressing disruptive behaviors.” That has been taken to mean that law enforcement will be notified if a customer appears to pose a threat to safety and that employees should call 911 in the case of “immediate danger or threat” to employees or customers. The new policy comes weeks after video footage of the arrest of two black men at a Starbucks in Philadelphia last month went viral, being viewed millions of times on social media and discussed by many mainstream news outlets. The video drew Starbucks protests and boycotts across the country as demonstrators accused the company of racism. The incident quickly became a public relations nightmare for Starbucks. The black men, Rashon Nelson and Donte Robinson, were waiting for another man, Andrew Yaffe, who is white, for a business meeting on April 12. Nelson said he’d asked the manager if he could use the restroom but was told the facilities were for paying customers only. The men were then asked to leave by the manager because they did not buy anything. They explained they were waiting on a business associate. The manager of the store then called the police, accusing the men of trespassing. The men said the police arrived mere minutes after they’d entered the store and arrested them. Starbucks did not press charges and the men were released hours later. After protests erupted, Starbucks moved quickly to control the damage. Kevin R. Johnson, the company’s chief executive, personally flew to Philadelphia to meet with the two men to discuss the incident. Starbucks also announced that it would close stores on May 29 to give anti-bias training to its 175,000 employees in the United States.